Note: The following is an excerpt from the white paper "Trade Analysis: Using Trade Data in Strategic Decision Making" published by Freedonia Custom Research. To read the entire white paper, download it here for free. As international tensions and tariff activities increase, trade analysis will continue to play an important role in strategic decision making. Through analysis of trade data, you can reveal key insights about domestic and global markets to better inform your business decisions. Trade data can illustrate the mechanics of product supply chains and domestic demand for goods and services, as well as recent shifts in the movement of raw materials between nations. In situations where estimates exist for the production of certain goods within geographic boundaries, trade analysis can help estimate the local demand for certain goods and services. This estimate for demand for a product within a country, called apparent consumption, takes into account a nation’s production as well as its imports and exports. For example, in 2016 Canada produced an estimated 8.7 million metric tons of barley (according to the UN’s Food and Agriculture Organization). In the same period, it exported 1.2 million metric tons of barley and imported less than 0.1 million metric tons. Therefore, apparent consumption of barley in Canada can be presumed to be approximately 7.5 million metric tons. This type of analysis is sensitive to any errors in reporting for both domestic production via government sources and the trade data. However, it can often provide a good starting point for estimating demand for a product within a specific nation. Finished products are often the result of inputs from countries across the globe. Trade analysis can determine how raw materials and inputs flow across regions and identify the countries that supply the bulk of material for production. 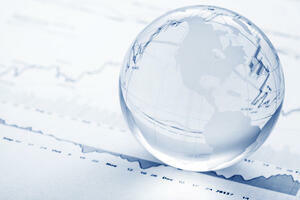 For instance, trade analysis can help identify how materials are acquired and value is added by different nations. As such, there may be a correlation between the flow of raw materials into one country and the exports from that country of finished goods, or intermediate parts. Export data from different regions may further provide insight into which nations are the highest exporters of certain goods, and can inform future strategies for acquiring intermediate or raw materials. Data sources that report exports in both value and volume terms may give some insights into general export prices from different nations. For instance, according to the US International Trade Commission (USITC), the United States exported 48 million kilograms of soybean seed to Canada in 2017, equivalent to $28 million. Per these reported metrics, a rough export price estimate for soybean seed can be inferred of slightly less than $0.60 per kilogram. Users attempting these measures should be cautioned, however, that these are only estimates of export prices for the measured HS code as a whole, and estimates will suffer from any reporting errors that occurred during the trade flow. In an era of escalating trade tensions, import and export data can assist in the examination of how trade policies impact the global and regional flow of goods. New or increasing trade barriers can alter how production inputs are used across industries, and these changes can become evident upon examination of trade data sources. For instance, changes in the production capabilities of a nation over time may be reflected in a slowing of exports from that region to the world. For many industries, key components in the production process are sourced from all over the globe, and trends in trade behavior in these nations may signal a need to re-evaluate the source of vital production inputs. 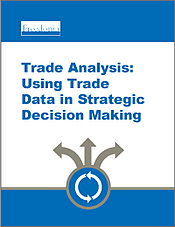 For more information about how trade data is organized and where it is reported, download the free white paper "Trade Analysis: Using Trade Data in Strategic Decision Making" produced by Freedonia Custom Research, a division of MarketResearch.com. The analysts at Freedonia Custom Research are highly skilled in analyzing global industrial and business-to-business markets. For more than 15 years, they have been helping clients make the right decisions through hundreds of complex projects completed for many of the largest industrial companies in the world.